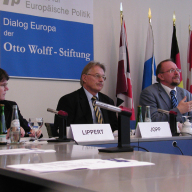 Since its founding in 1959, the Institute for European Politics (IEP) has been a non-profit organization dedicated to the study of European integration. 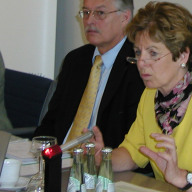 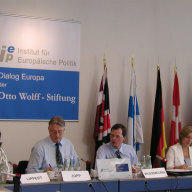 The IEP organises “Public Debates” on key topics of the current agenda of European politics. 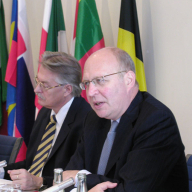 It invites distinguished speakers and other experts from academia, government and administration of member states and EU institutions to talk about challenges and perspectives of European integration. 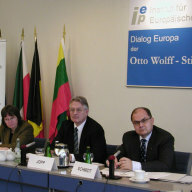 These issues are discussed in a forum where people interested in the development of European integration from academia, politics, media, pressure groups, embassies and non-governmental organisations meet. 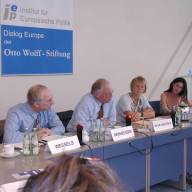 Through its Public Debates the IEP fulfils one of its major aims as think tank to promote the discourse on EU topics and encourage exchange between policy-makers, academics, journalists and citizens. 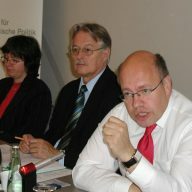 With the support of the European Commission: Support for bodies active at European level in the field of active European citizenship. 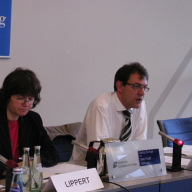 For the content of its publications only IEP is responsible.